The Two Oceans Marathon recently took place in Cape Town, over 30 000 runners took to the Cape Town streets to attempt the ultra marathon or the half marathon. 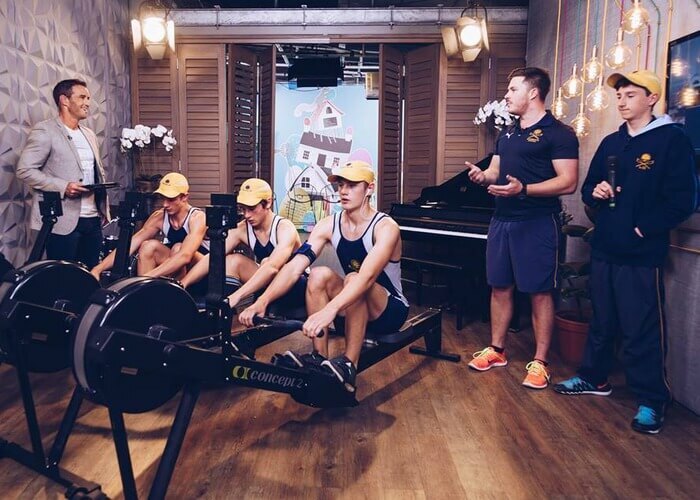 While that was happening, we had four young rowers from the Ronderbosh Boys High School rowing team, who attempted their own marathon by trying to row the equivalent of Two Oceans Half Marathon which is 21km, right here on the Expresso balcony. The boys are both raising money as well preparing for their United Kingdom tour, which they have been selected to represent South Africa in May.